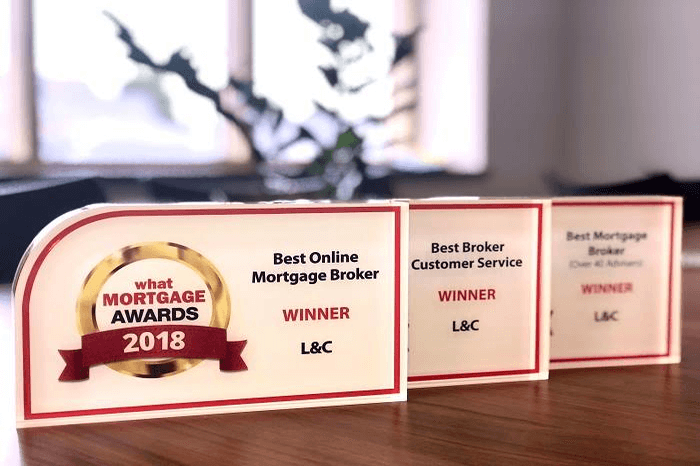 L&C picked up three awards at the What Mortgage Awards on July 18, winning Best Mortgage Broker (over 40 advisers), Best Online Mortgage Broker and Best Broker Customer Service. We were also highly commended in the Best Buy-to-let Mortgage Broker, Best Specialist Mortgage Adviser and Best Broker Website categories. The awards, which celebrate their 25th anniversary this year, recognise and reward the best businesses in the UK’s mortgage and associated markets. They are voted for by consumers in a 21-week voting process that begins with a ‘call for nominations’. This lasts for four weeks and asks for What Mortgage’s online visitors to nominate the businesses with which they’ve had positive experiences. A shortlist is then formed, and in the second part of the voting process, which runs for 17 weeks, consumers are asked to give a rating score to nominees out of 5. It is the second time this month that L&C has won awards, having won two categories, ‘Rising Star – distributor’ and ‘Innovation Advocate,’ at the 2018 British Mortgage Awards on July 5. You can see these and all the other awards we have received here.